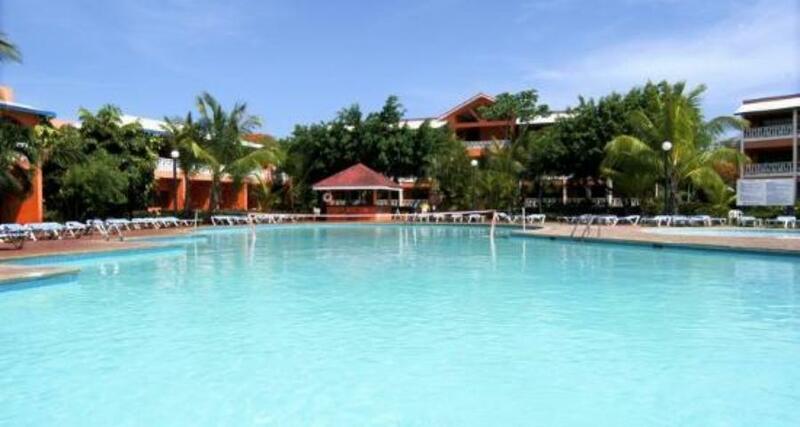 Bellevue Dominican Bay All Inclusive is a 3* family friendly hotel located in Santo Domingo, Dominican Republic. It features 437 rooms and swimming pools. All inclusive meal plans are available! Complete with affordable rates and a great location just minutes from popular Boca Chica beach, BBellevue Dominican Bay All Inclusive is a fantastic accommodation for a relaxing vacation in Santo Domingo. Peaceful and well-equipped, the property features convenient facilities, including tennis courts, two lovely outdoor pools, and an auditorium with different shows every evening. The hotel also offers an impressive array of sports and recreational activities for you to try, which range from dance classes and archery to windsurfing and snorkeling. You'll never be short of something to do here, whether you're looking to use up some built-up energy, or you just want to relax and make the most of the resorts charming setting. The accommodations at Bellevue Dominican Bay are spacious and well-designed, offering all you need to relax during your time here. Whether you're with your family, friends, or partner you'll have a great time at this wonderful place.